We can’t believe Front Street Foods is back already! It seems like just yesterday when we moseyed on over to grab a bite at the inaugural food event in front of the newly renovated Union Station last year. 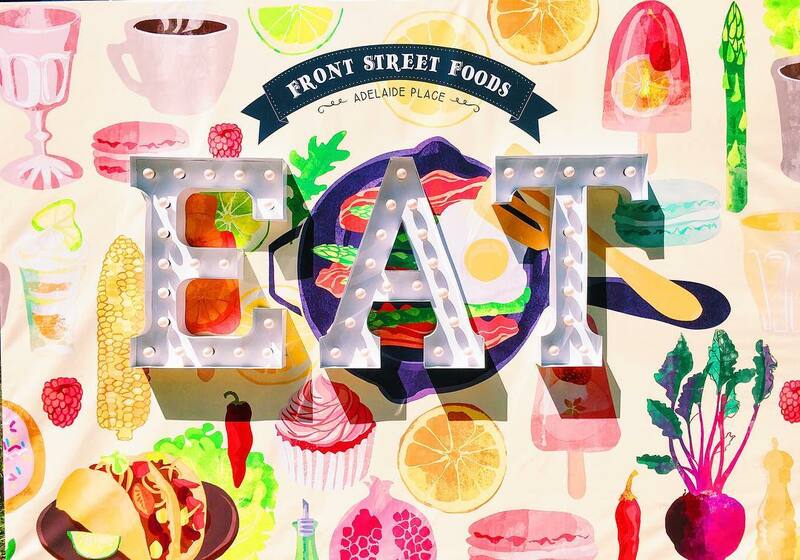 The Front Street Foods market brings together some of the best restaurants, chefs, and foodies to give Torontonians a taste of their talent. Although the market has moved to a new location this year – on the second floor terrace of Adelaide Place – the food is just as delicious and the venue is just as packed!